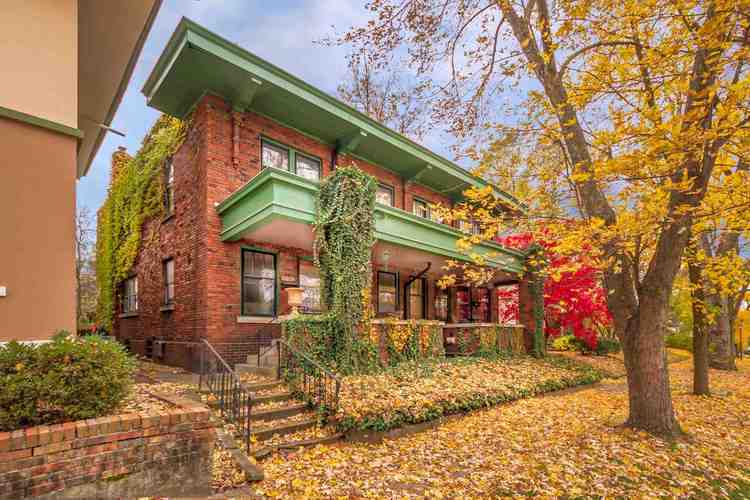 This Historic Townhouse is an example of early American Craftsman Style Architecture. It's spacious rooms and many windows lend to a feeling of openness and functionality. The 10'x20' kitchen has been cleared out, exposing the brick wall and original wood floors. It is ready for your unique design. The property includes a 2 car garage (formally a carriage house) and a refreshing backyard retreat with a pergola covered deck, upper balcony, shade trees and flower gardens. This is a solid, artisan built home located on a quiet street in the heart of West Central's Local Historic District. Located only 5 blocks from Electric Works. 10 minute walk to Parkview Field, Ash Brokerage, restaurants, pubs, YMCA, farmers markets, library, River Greenway, plus more! Directions:On Jefferson traveling East, Turn left on Union Street, Turn left on W Berry Street, cross Rockhill Street, house is on the left hand side.